Historical maps provide insight into the development of land use from 1840’s to present day. Map Insight provides the highest quality imagery on the market as standard. 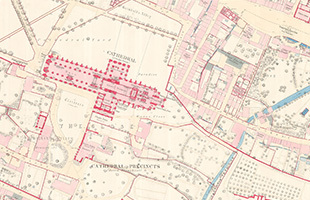 Ordnance Survey mapping at over 500 dots per inch (dpi), setting a new industry standard. Maps date back to the 1840s to provide detailed insight into historical land uses to understand the potential contaminated land risks and associated liabilities. Can include both National Grid and County Series maps. GeoTIFF option for GIS users.